#246. Point Lobos, California. 10 x 20, oil on canvas. Gilbert Munger 1871" lower right; "D.R.Noyes" and the indecypherable name of a Minnesota town three times on the back. 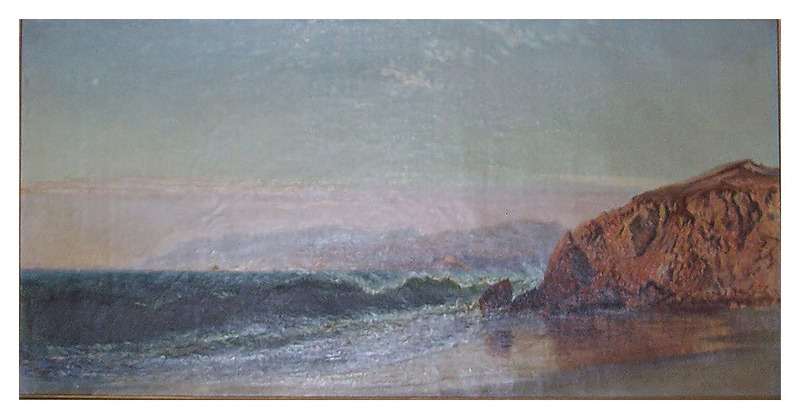 A gold plate attached to the frame shows "Point Lobos - California - Gilbert Munger". 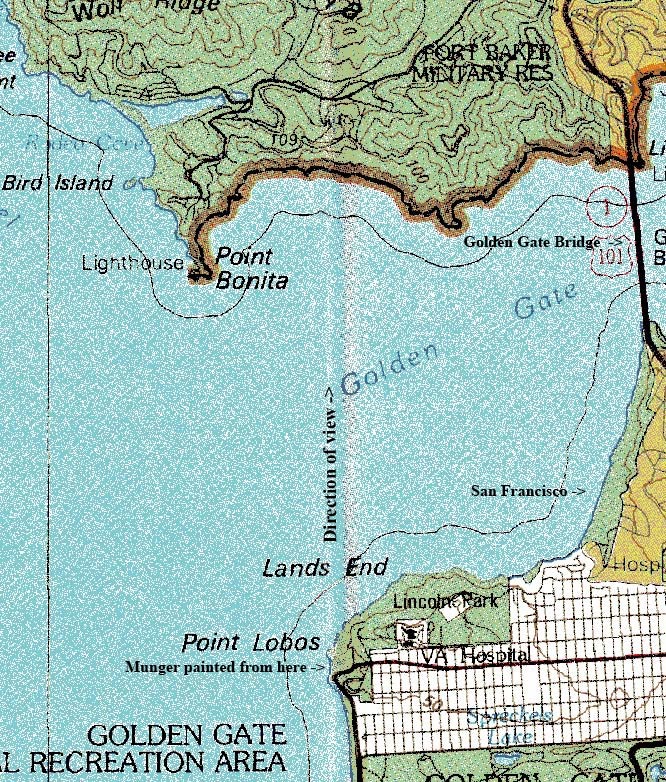 The image is the view looking north across the Golden Gate with Point Lobos on the western San Francisco coast in the foreground. (See map for details.) The painting shows the same scene as #7 and #280. The date suggests that it was painted in Munger's New York City studio. The painting was owned by Olga (Heck) (Buchosky) Welker, born 1893 in Minnesota, and has descended through the family to a grandaughter. Image from owner's email.